The old photos on this page (and many others throughout this site) are from the collection of Jack Smart, a retired Mining Mechanical Engineer & Training Officer and one of the mainstays of the Local Studies Group (and other organisations in the Madeley area!). Most of them have never been previously published – please respect copyright and do not download or link. The Kemberton Colliery Mines Rescue Brigade ‘C’ Team, photographed in front of the Rescue Station in 1914. 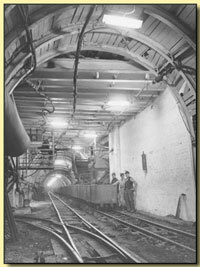 The man on the left is carrying a canary in a cage to detect carbon monoxide after a fire or explosion – canaries were used simply because their yellow colour made them easier to see in semi-darkness underground – otherwise sparrows or any other small birds, which were equally sensitive to the effects of gas would have been just as effective! 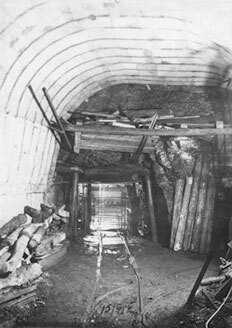 During WWI the sappers tunnelling at the Western Front used canaries for gas detection but they would trim the claws as it was discovered that a canary could die of gas and the effects of rigor meant that they would grip their perch and not fall off. If this happened the miners/sappers might not notice the onset of gas. The men are wearing ‘Proto’ breathing sets, developed by Siebe Gorman & Co from the earlier ‘Fleuss’ apparatus. 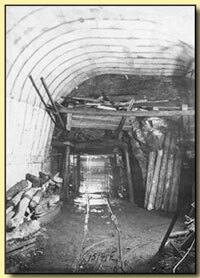 (This information came from Phil Clifford – click here to visit his excellent site on the history of the Mines Rescue Service). We know that the man in the middle behind the stretcher was J.T. Evans. 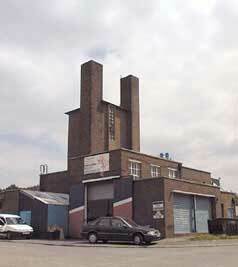 Kemberton had the first Rescue Brigade to be established at a Shropshire pit. Halesfield Colliery upcast (ventilation) shaft pit head. You can see how the headgear is enclosed to prevent surface air being drawn into the extraction fan. The area is now a caravan site. 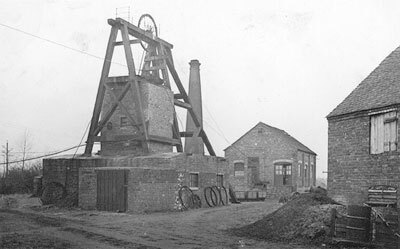 The Madeley Wood Colliery, as was common elsewhere in coal mining, actually consisted of two separate pits — the Halesfield (circa 1861) and Kemberton (1864) Collieries, which were subsequently connected underground in 1939, after this date the Halesfield shafts were used purely for ventilation, pumping and as a second means of egress from the mine. The Halesfield shafts reached approximately 300 yards, the Kemberton pit was deeper at 364 yards. 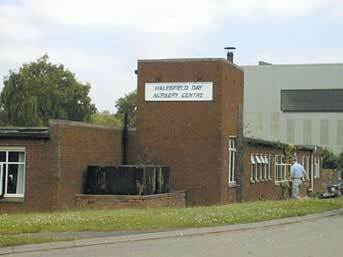 The whole colliery site, the former spoil heaps and the extensive railway sidings were levelled on closure in 1967 and the area is now a major industrial estate — Halesfield. Colliery checks from Madeley Wood Pit (right) – one from the 1930s, (top) one, post nationalisation, from the 1950s. Please note: these are photos of GENUINE pit checks from the Madeley Wood Pit. Forgeries are being advertised on ebay. In particular, this one is a clear forgery. Don’t be fooled! 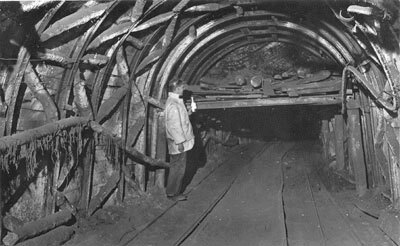 Each miner had two checks with his number on, one was handed to the “banksman” before entering the cage, it was then hung on a board at the pithead. He kept the other check with him while underground, only handing it over on his return to the surface. This was a simple method of ensuring that no one was lost or trapped at the end of the shift. 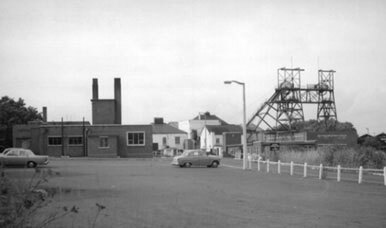 Kemberton Colliery pithead, (left) photographed in the 1960s. The baths and offices, shown in the modern photos below, can be seen on the left and in front of the headgear respectively. 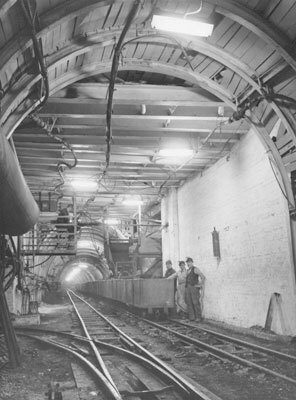 The tandem headgear, with one winder operating two cages counterbalancing each other in two shafts, was particularly common in the East Shropshire Coalfield. 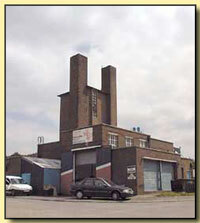 There are no visible remains of the Kemberton headgear and engine house, but this modern (June 2000) photo shows the boiler house end of the former pithead baths, now used as light industrial workshops, in the middle of the Halesfield industrial estate. The baths, the first in Shropshire, were built by the Miners’ Welfare Fund, a national body, on land donated by a local farmer, W.J. Evison, and opened in 1941. Until 1953 the miners’ committee had to find half the cost of running the baths. 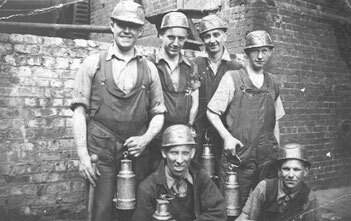 The Kemberton Colliery maintenance team, 1936. 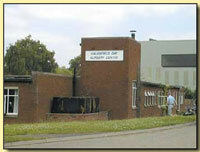 The former Kemberton pit offices, in their modern guise as a children’s day nursery. The haulage road at Kemberton Colliery, photographed in the 1940s. Back ripping is in progress, replacing wooden props and bars with steel arches to increase the height of the roadway. Kemberton Colliery pit bottom — South Vigers side (right – click to enlarge). Tub loader on the locomotive haulage road at Kemberton, photographed in the 1950s. (on left, click to enlarge). The 13 hundredweight capacity steel tubs were hauled to the pit bottom by Ruston & Hornsby diesel locos. The roadway curving away to the left connected with the neighbouring Halesfield pit.